You’re not expected to install your own roof. But knowing what roofing contractors do when they install new roofs gives you a better idea of what to expect and how to anticipate potential delays. 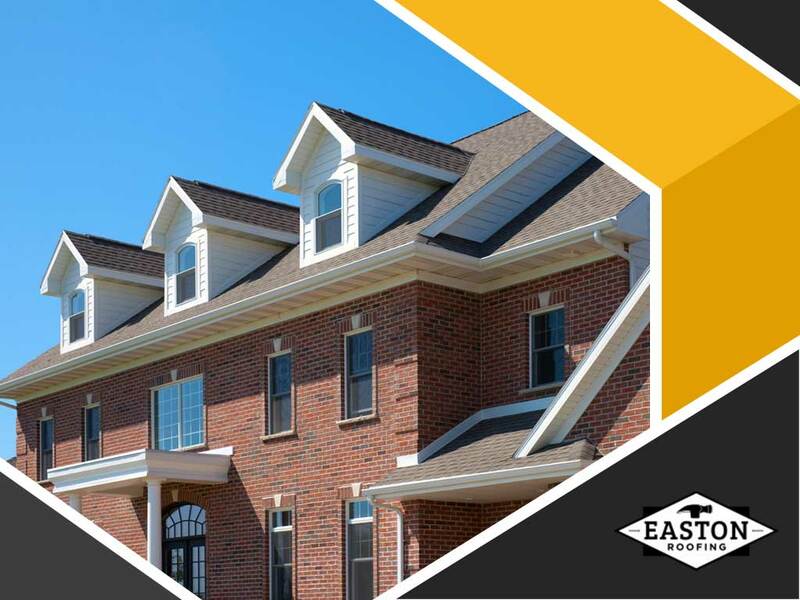 In this blog, we take you on a quick tour of how a typical Easton Roofing installation goes – from start to finish. The process begins when you contact us to schedule your appointment. We will stick to the hour that’s most convenient for you and not make you wait all day. One of our specialists will discuss the project with you, get a clear picture of your roofing needs and explore roofing options that will suit your budget. We will also perform an inspection of the roof and determine if it will require structural repairs. At the end of the consultation, we will provide a no-pressure written proposal or deliver it to you shortly after the meeting. You can review the contract at your own convenience. In fact, you can even sign it digitally; no need to drive by our showroom to deliver the contract. A few days after signing the contract, you will receive a phone call from us with a proposal for a start date. Once the date is finalized, we will also go over details, such as pre-installation preparations, clearing the driveways, protecting your furniture and valuables from dust, and accommodations for the kids. Unlike many roofing contractors, we also go make sure noise management and informing the immediate neighbors are also discussed. The installation process itself is pretty straightforward as our installers all have received training and certifications to install the roofing products that you’ve chosen. Before installation begins, one of our project managers will meet with you (or call you if you’re not at home at the time) to go over the scope of the project. They will also keep you posted on the installation progress as well as get in touch with you in case you need to sign off for unplanned repairs. Every roof we install undergoes a thorough quality control inspection before it’s pronounced complete. Our project managers will give you a tour of your roof’s new features. You will receive a follow-up phone call to settle the remaining payments, after which you will receive your written warranty and lien waiver release form. Lastly, we will discuss roofing care and maintenance, when the next scheduled maintenance will be and what you should do between appointments. Give us a call at (913) 735-8534 (Kansas City, KS), (816) 545-9778 (Kansas City, MO) and (785) 246-9449 (Lawrence, KS). You can also fill out our contact form. We serve clients in Kansas City, MO, and surrounding areas.